The article cause a furore (as expected), but in the end riders who wrote in and were published in the letters to the editor sections in the follow up magazines were divided, with half of them agreeing with me and the other half thinking I am not getting it. Not the least it is important to state, I do ride a Triumph to help me getting trough London. But this fact does not mean that I do not use the public transport system, my bicycle, walk and occasionally a car from my local car sharing schema. 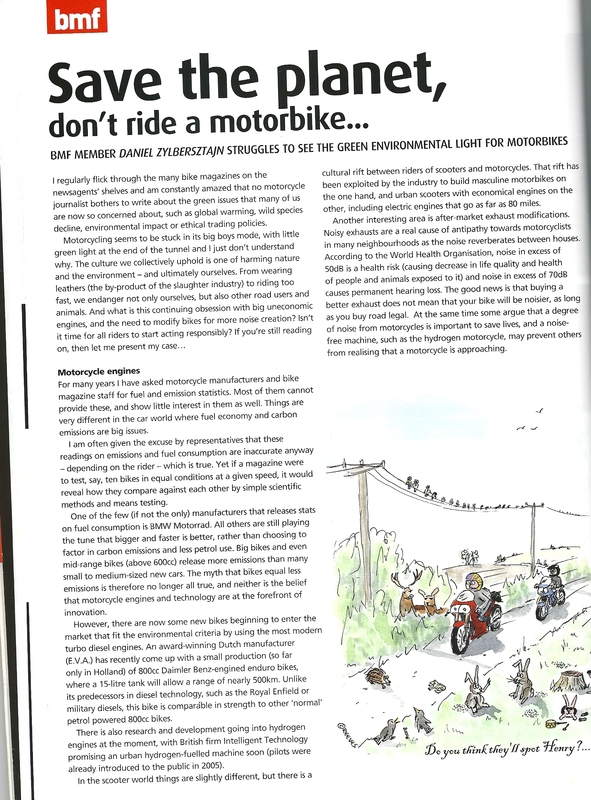 Thanks to Andy of RPB Limited for receiving the feature, and arranging proof reading and art work!